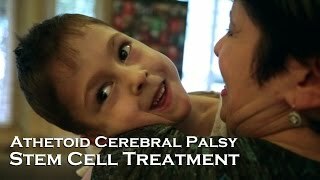 Adult stem cell therapy is not a cure for cerebral palsy. But it can offer quality of life improvements for patients. If you are interested in submitting information for a preliminary medical evaluation please submit an inquiry at StemCellsChina.com. Kaelyn recently received adult stem cell therapy in China. 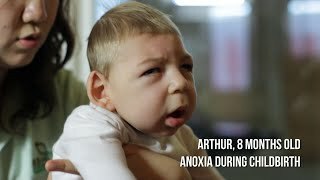 The treatments she received are not a cure for any form of cerebral palsy. Treatments can improve patients' quality of life. Shiu Sisters - Cerebral Palsy Stem Cell Patients Both sisters in the Shiu family display symptoms of cerebral palsy. The family traveled to China to receive adult stem cells for the girls to help push along their development and improve their condition.